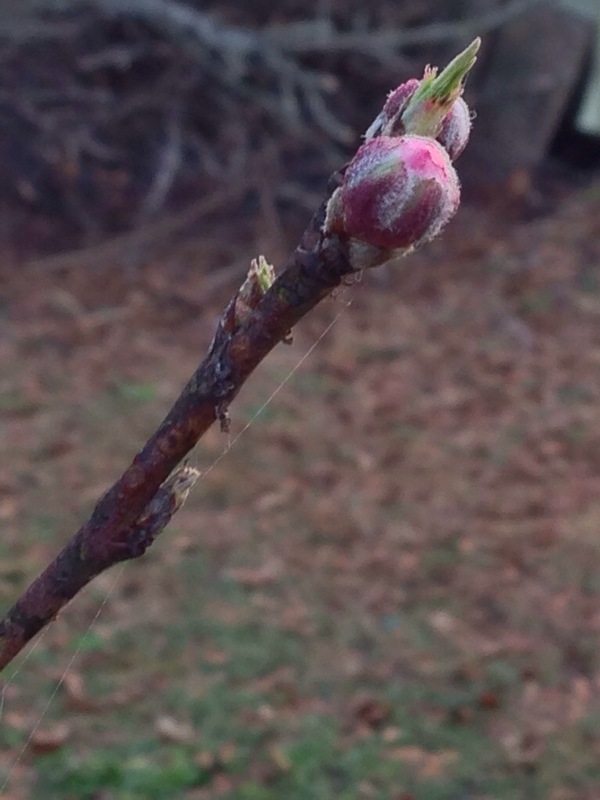 Today I thought I’d share some signs of spring seen in my backyard this past weekend. 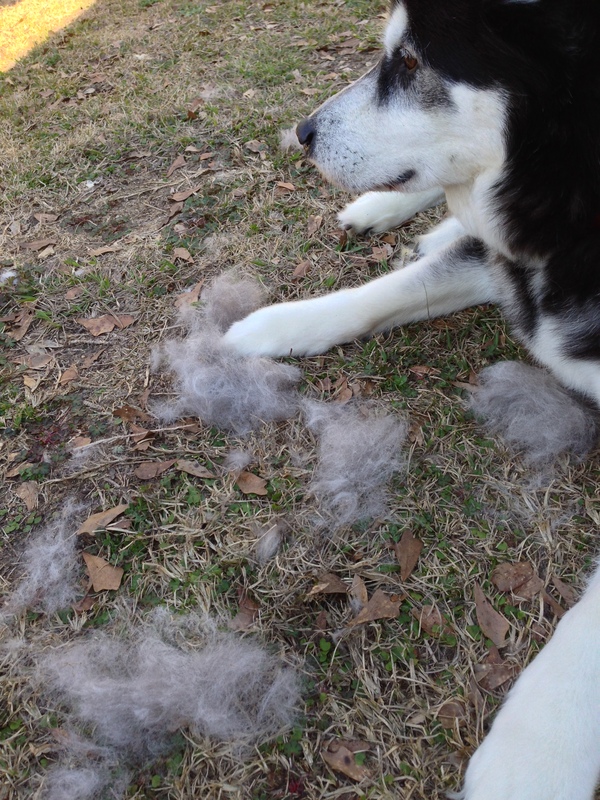 Jen brushed me outside this weekend I’m blowing my coat! « Kentucky State Senator Cries Over Monkeys! Thanks! Hope Spring is headed your way too! Haha! I hope so! This week we are back to only single digits for temps. Yuck!! We have two huge bushes filled with them! woo woo woo! Maybe that’s why them squirrels love those bushes! I’ve already texted her to let her know! It’s coming! I am glad. Your photos give us hope. It’ll be there before you know it! I expect the birds where you live have wonderful soft linings of your fur in their nests. Yes! That’s why I am brushed outside! Well, it must be nice! We’re still buried under a foot of snow! I hope Spring is coming north. We just had another snowstorm yesterday, so I enjoyed looking at your spring photos!! I am so jealous! My backyard is snow covered. Wow! Your yard is green!! We still have tons of snow! Oooh! We can’t wait fur spring here! Our yard looks like an arctic tundra! 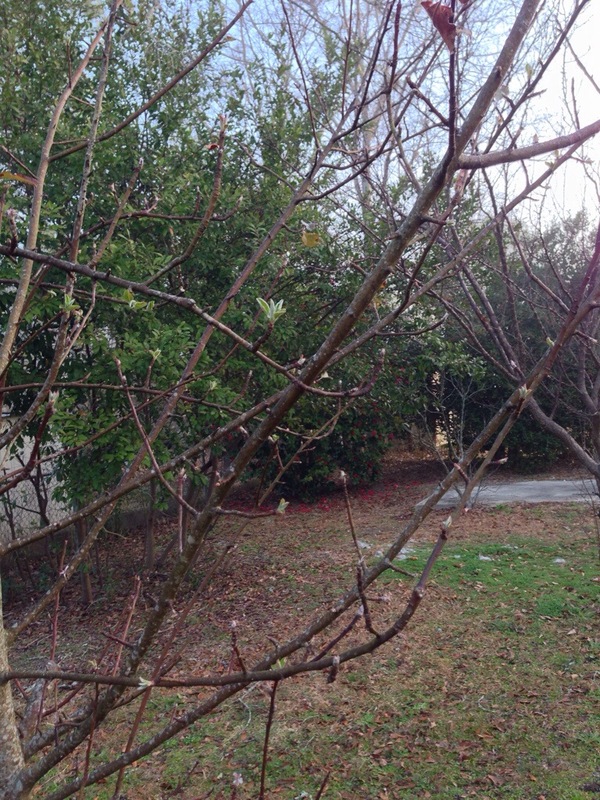 We saw the first blooms on our mango trees. We love them and mom grows many varieties. Lovely! Being farther north, I’m still waiting for a sign of spring. thank you for sharing yours! I told Spring to head your way! What the??? We just got six inches of snow! We can only hope that spring is soon to come. I’ll tell her to head your way! Gorgeous furs, R. Birds will use them in their nests. Too bad you can’t sprinkle them around the house. The wind sprinkles them outside, and I do inside! woo woo! And we bet the first robins of Spring will love that fur for their nests:) We actually are having thunderstorms here tonight – another sign of Spring, but they say it might snow tomorrow??? We might be getting them storms tomorrow. ACK! That’s great! Except the part about the hair. We’re not seeing any of these signs yet. The blowing of the coat is not one of Jen’s favorite things, for sure. 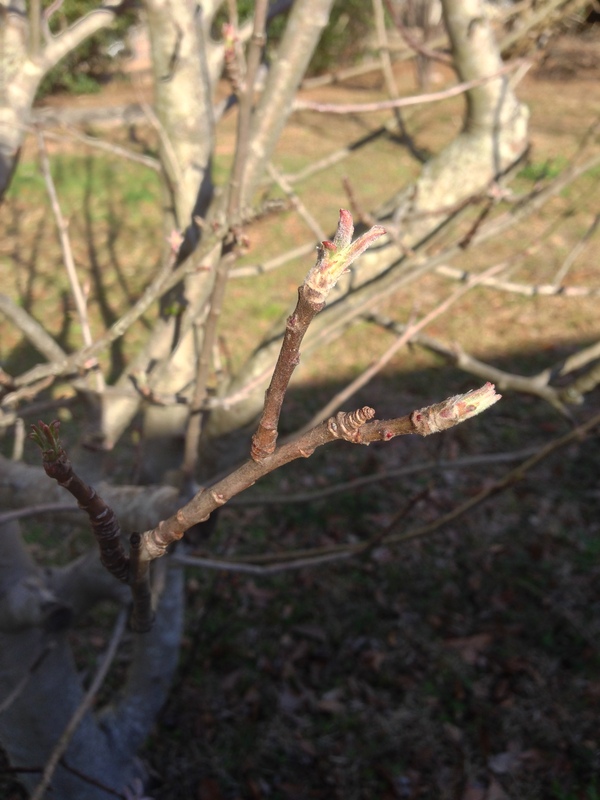 Our trees are budding too. Its pawsome isn’t it! The rain has turned our already bad driveway into a sheet of ICE. I hope no one has an emergency because without a tractor and chains, no one is getting in or out of this house until the spring thaw. Even the Aussie who usually loves terrible weather won’t voluntarily go outside. The other dogs have to be physically ejected. Spring cannot come soon enough around here. If there’s a sign of spring, it’s buried under ice. Oh, you must be bursting with excitement at all that spring activity. Your coat looks a little like the fuzz on that beautiful bud. 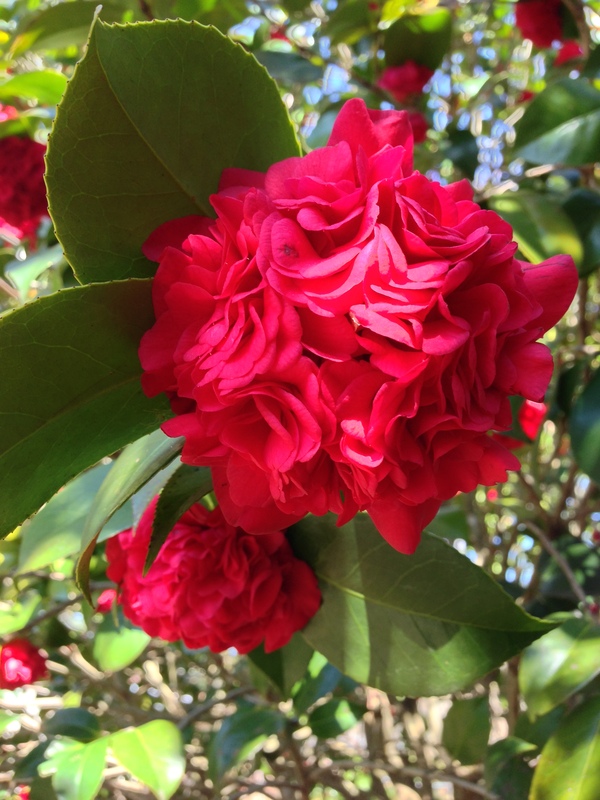 Those are beautiful red flowers and looks like you have a nice yard to play/lie in the sun in. Spring is our favorite time of year, more getting out to dog park time. wag wag! look at all that hair…aren’t you cold now Rumpy ?